Wonderful meeting with Entrepreneurial Think Tank for Women and helpful information shared by TeaScapes founder, Kathleen Edinger. Thank you Blossoming Shutterbug Photography for the fabulous pictures. Great turnout yesterday at #MacysBeautyBash! Thank you Cindy Jasgur Ferrier for the beautiful pictures! But for those who are interested in clip in extensions, there is a large selection to choose from, from many vendors online and different shops. Announcing: New Partnership + New Friday Meeting Location! 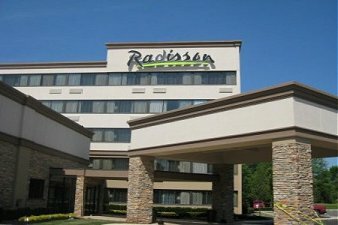 We are excited to announce our newest partnership with the Radisson Hotel in Freehold, NJ. The hotel is located on beachfront villa koh samui, Freehold, NJ 07728. Our Friday meetings will now be hosted in the hotel’s restaurant. When you come into the hotel, take a left and there we’ll be in a sectioned off area, just for ETTM. We look forward to seeing you all at our next event on March 7th, 2014 at 11 am. View a complete list of our upcoming event HERE. ” A few years ago, if Someone told me I would be managing a martial arts school, I would have laughed. But here I am doing just that, helping my son, for whom Taekwondo has been a passion for the past two decades, fulfill his dream, says Leila Carr, ETTM member and CEO of Shido Martial Arts School, a unique and modern facility and the largest in New Jersey. Leila Carr and her family opened up their school with the development of self-esteem and character through instruction in the disciplines of Taekwondo by highly skilled and caring instructors as their prime goal. Shido Martial Arts School is a third home for ETTM, our meetings and activities and we are so grateful to have Leila as a part of our community. Come learn more about the school, its programs and meet Leila at our Family Wellness & Beauty Day on April 13, 2013. Register HERE. How do I choose the best networking group for me? As everyone knows, I have been in my own business for over 16 years. So, I consider myself pretty well versed in networking having gone to many different types of networking groups over the years. I don’t go to many outside my own, unless I think in some way it will benefit our group, ETTM. 1) Big doesnt always mean better. Just because a group has many people that show up, that does not necissarily mean it is better. I’ve found smaller intimate groups can produce more referrals, which in turn produce business because of the ability to connect more closely with people. 2) Price is only an issue in the absence of value. The least or the most expensive group doesn’t make the group better or worst. I do believe, however, that you do not have to spend a lot on a group to ensure it is a successful one. I also don’t believe free groups can produce a good return because there is no funding to grow and give back to the organization either. The best groups have intimate circles and offer education as well as networking which is why we implement that in our ETTM. 3) Get to know one another. Lock arms with someone you view as a strategic partner and always listen more than you talk. Give first and give more and it will always come back. Joining multiple groups is also a successful networking no no. I know you’re probably asking, why? Would I do better if I was a part of multiple organizations? Well, the simple answer would actually be a question, how many referrals are you able to give? You see, if you promise more than you deliver it will come back to haunt you. Focus your efforts into 1 or 2 groups you feel the best about; this would be the one/s with the most people you not only can relate to, but that you can honestly send referrals to. Give of yourself to the group, if you want to get the best return, be around the most, volunteer more, tell everyone about the group and invite people to help it thrive. Remember in any group or relationship… together, everyone achieves more! We are so grateful to for this opportunity and can only hope to reach more ETTMoms! Together, we achieve more!